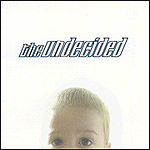 The Undecided was a Christian pop punk band from Steinbach, Manitoba, Canada. The group released one independent album before releasing two albums for Tooth and Nail Records. They released The Undecided in 1999 and More to See in 2001. They were the first Canadian group to be signed by Tooth and Nail. Group members were Matt Fast (vocals), Steve Dueck (drums), John Paul Peters (guitars) and Dan Thomas (bass). Peters has gone on to produce records for other bands, such as The Waking Eyes. Dan Thomas was formerly a member of Gooch.